US-backed moderates from Jabhat al-Nusra and other ‘opposition groups’, which operate inside and outside Aleppo, are not going to participate in the humanitarian pause announced by the Syrian and Russian militaries. On October 19, Syria and Russia reopened corridors in Aleppo, giving militants a chance to leave the city during mini-ceasefire scheduled for October 20. In turn, Jabhat al-Nusra (or Jabhat Fatah al-Sham) and its allies relaunched offensive operations in southwestern Aleppo and seized the main part of 1070 Apartment Project. On October 20, militants continued attacks in the area. Turkish-backed militants and the Kurdish People’s Protection Units (YPG) are clashing over the Syrian town of Tell Rifaat. An alliance of Turkish-backed militant groups, operating under the banner of Ankara-led Operation Euphrates Shield, declared Tell Rifaat, 40km north of Aleppo, a military zone and gave the YPG 48 hours to leave the town on October 18. It was seized by the YPG from Turkish-backed militants in February 2016. On October 19, the so-called ‘FSA’ started shelling of YPG positions in Tell Rifaat while the Turkish Armed Forces’ artillery hit other YPG positions in Hasajik, Hasieh, Shahba Dam and Um Hosh. In turn, pro-Kurdish sources started disseminate info that the Russian airpower had bombed FSA militants south of Mare and at Tell Malid. On October 20, firefight and artillery strikes continued. The reason of tensions is the recent YPG advance in the direction of strategic town of Al-Bab. The YPG took control of few villages located at the important roads heading to the ISIS-controlled town. In turn, to take control of Al-Bab and prevent the YPG’s chances to link up the Kurdish-controlled areas in Syria are one of the main goals of Turkish military operations in Syria. On Wednesday, over 600 militants withdrew from the Mo’adhimiyah Al-Sham suburb of Damascus, passing its control to the Syrian army. The militants were transferred to Idlib province. The Syrian Air Force delivered a series of airstrikes on Jabhat Fatah al-Sham positions in the provinces of of Latakia and Idlib, bombing terrorists near Zohra Katab Sandou and Tardin in northern Latakia and Hallouz and Um al-Qar in southwestern Idlib. The air raids resulted in elimination of 5 Jabhat Fatah al-Sham tactical units, 1 ammunition depot and at least 3 vehicles equipped with machine guns. The Russian-made TOS-1A ‘Solntsepyok’ Heavy Flamethrower System was spotted among the Iraqi Federal Police’s artillery units shelling ISIS units deployed in the Shura area near the ISIS-controlled city of Mosul on October 18. TOS-1A systems were successfully used by the Iraqi army during the storm of Fallujah. Now, they are participating in the battle for Mosul. On October 20, the Iraqi Air Force’s airstrike killed Wa’ad Youness, ISIS Governor in the Sahl region of Nineveh province. 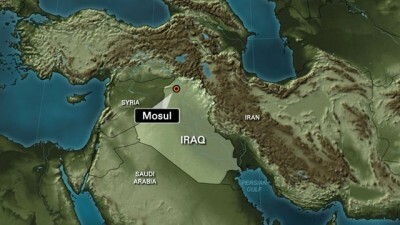 The event took place in the area northeast of the ISIS stronghold of Mosul. At the same day, the Iraqi military announced that the joint anti-ISIS forces have liberated 18 villages since the start of operation in Mosul countryside. Over 100 ISIS militants were killed during the operations.The main gains were achieved southeast of the ISIS stronghold. The ISIS-controlled towns of Bartallah and Bakhida are now the main priority of the Iraqi forces.